The College trustee’s decision to charge a fee, financially burdening communities that once received the same education and services for free, is not within their legal authority. The High Court has made orders yesterday preventing the Trustees of the Vatuvonu SDA College (“College”) from shutting down the College without the sanction of the Permanent Secretary for Education. A statement from the Ministry said: “From the period of 2014 until 2019, Fijian taxpayers have funded $1.84 million dollars to the College to cover school fees for students, meals for students, salaries for teachers, textbooks, capital works and other essential educational expenditures. The College trustee’s decision to charge a fee, financially burdening communities that once received the same education and services for free, is not within their legal authority. It is important to note that the College is the only school in the area for many students to conveniently attend, and over half of the student population are not members of the SDA Church. The Ministry of Education has repeatedly informed the trustees of the College of their constitutional right to carry out faith instruction for their students. The Ministry has consulted school management directly to protect the interests of students while also preventing discrimination on the basis of religion, or otherwise, with respect to Ministry appointments and tax-payer funded activities. The statement further said that College trustees have instead attempted to shut down the school until 20 May 2019, after which families would be forced to pay school fees to continue their children’s education. The High Court ruling restricts the College trustees from preventing students from attending school at the start of Term 2 or from refusing the appointment of teachers and school heads on the basis of merit. “The Ministry has been made aware of a petition by families served by the College who have stressed their inability to pay school fees for the education of their children. 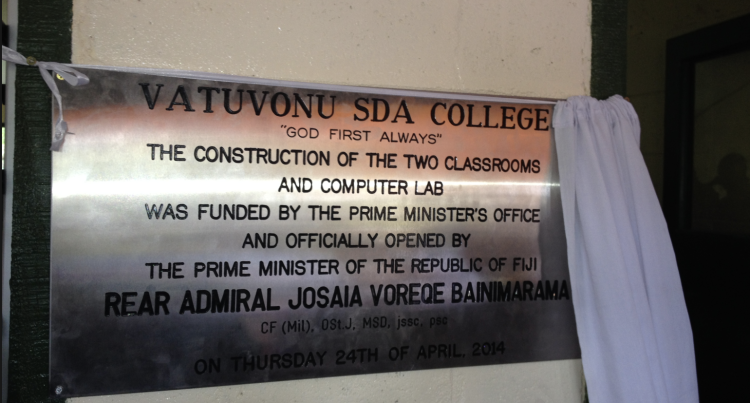 The High Court ruling ensures that education will remain free at the Vatuvonu SDA College. Students will not pay fees this week, nor will they pay fees when they return to school at the start of Term 2. Students will continue to have meals provided throughout the school day. Teachers and School Heads will continue to be appointed on the basis of their proven ability to educate students and run schools effectively and the constitutional right of the SDA Church to continue with faith instruction at the College will be upheld.